Shirdi is best known as the late 19th century home of the popular guru Shirdi Sai Baba. It is one of the richest temple organisations. Shirdi is located about 296 km from Mumbai the capital of Maharashtra in India. The closest and highly connected city from Shirdi is Ahmednagar city. Sainagar Shirdi Railway Station is a railway station in the city of Shirdi in Maharashtra. Sainagar Shirdi is a railway last stop and belongs to Central Railways of Indian Railways. It is located 185 km from the Ahmednagar – Manmad road which is a very busy route. The 17.5 kilometres long Puntamba-Shirdi connecting the holy city of Shirdi. The Manmad-Puntamba-Sainagar Shirdi line has been started in 2011-12. The railway station in Sainagar Shirdi is well connected with many direct trains to different places. Shirdi has a new railway station called “Sainagar Shirdi” which became in March 2009. Trains also run from Manmad railway station which is 87 km from the Shirdi and Ahmednagar railway station which is 83 km from the heart of Shirdi and the Kopargaon station which is 15 km from Shirdi or Nasik city which is 119 km from Shirdi and Daund railway station is 200 km from Shirdi. The trains services have also began from the different parts of the country for Shirdi. The railway station is just 10 kms away from the temple, the newly built railway station of Shirdi now runs many trains from across the country like Delhi (Swarna Jayanthi), Mumbai (Sainagar Dr Exp), Chennai (Snsi Chennai Ex), Bangalore(Adi Sbc Express). The trains also have air conditioned compartments and various classes. The devotees prefer taking trains from Kopargaon, Manmad railway Station. Shirdi has an automated railway ticket booking center within the temple location. Trains services have also began operation from the different parts of the country for Shirdi. The trains also have air conditioned compartments and various classes to suit every pocket. Kopargaon on Daund-Manmad Line is an important railway station about 16kms from Shirdi. 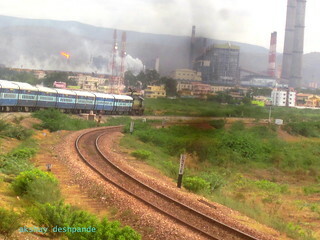 This station is on the route of the Karnataka Express from New Delhi to Bangalore. After coming Kopargaon, you can take another train to Shirdi railway station. Manmad is another important station about 58 km from Shirdi which carries a number trains from Mumbai and Delhi. There are many trains easily available from Manmad to Shirdi railway station. Aurangabad has domestic airport which known as Chikkalthana Airport in Aurangabad. It is 104 km far from holy city Shirdi. The distance between Aurangabad to Shirdi is about 116 km by road. Aurangabad is well connected to Kopargaon and Manmad railway Junction. There are 32 trains travelling through Sai nagar Shirdi are as follows.